Tom Rensberry spent most of his life in the northern Michigan communities of Alpena, Gaylord, Cadillac, and now Traverse City. He had a successful trial law practice in both Gaylord and Cadillac for 23 years before retiring in 1993. It is not surprising that Tom is a strong supporter of any efforts to preserve open, undeveloped land. Almost all of his spare time has been spent in the outdoors. 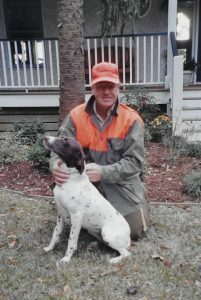 His activities include bird hunting with his dog, bow, and rifle hunting for big game, downhill and cross-country skiing, hiking and biking, fishing, gardening, and farming. 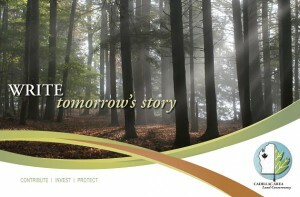 He has managed his private properties for the purpose of conserving wildlife, soil, and timber. Tom and his wife, Diane, divide their time between Traverse City and Beaufort, South Carolina. His seven children, who live throughout the U.S., attended college and/or pursued careers and have their own families. Tom is a co-founder of CALC and has been past president and chairperson. He has served several terms on CALC’s board since its incorporation in 1995. He has gifted to CALC a conservation easement on his 360 acres in Cherry Grove Township. Tom remembers well what Cadillac and other northern Michigan communities were like several years ago. He understands that population growth is inevitable and nice places become targets for development. His philosophy is that once a community is overdeveloped, it loses its overall appeal not only to newcomers but also to those who chose to live there in the first place. Any and all efforts to preserve open spaces, wildlife, and our environment are beneficial to all the individuals who live in our community. Some think we have unlimited space and resources and that one more insult to the environment will not hurt it much, but it is that attitude that has destroyed a very large number of beautiful places.